Star Wars: Episode I The Phantom Menace hits the big screen in 3-D on February 10, 2012! Star Wars fans of all ages can learn more about their favorite The Phantom Menace characters, creatures, vehicles and events. 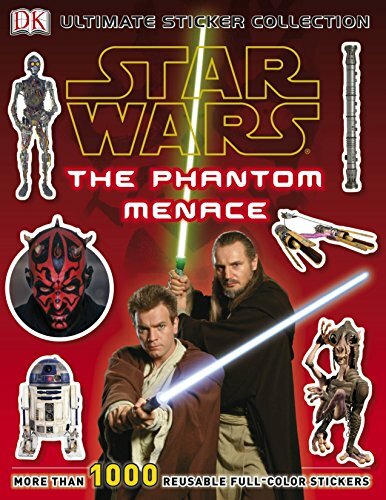 Featuring more than 1,000 bright, full-color stickers of your favorite Episode I characters like Obi-Wan Kenobi, Anakin Skywalker, Queen Amidala, Darth Maul, and Jar Jar Binks, alongside interesting movie facts, Star Wars: The Phantom Menace Sticker Collection will allow for hours of sticky interstellar fun!